I have a huge love of Caprese as you’ve probably already noticed. Remember my Caprese Burger? I think my love of Caprese comes from knowing that the fresh basil comes from Riley’s Toddler Herb Garden and she is so proud of those herbs. She is also more willing to try things when she knows that it uses the ingredients from her garden. 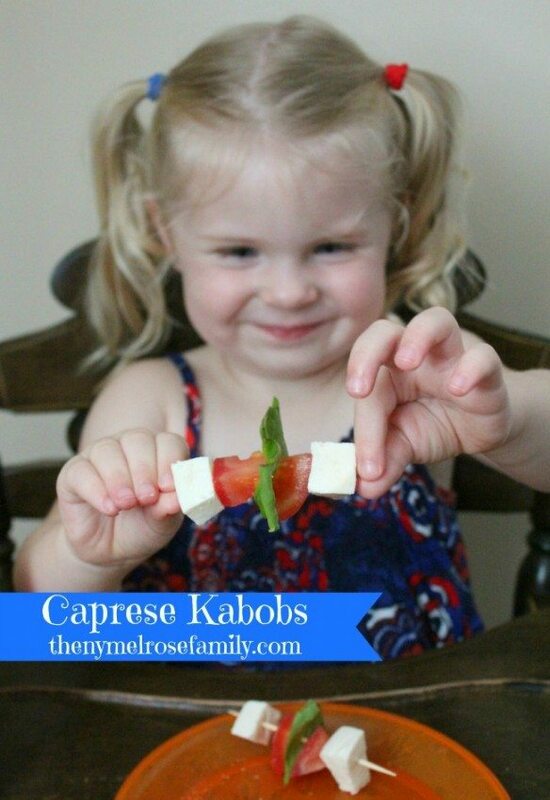 This Caprese Kabob Appetizer is one of Riley’s favorite because, like our Magic Wand Fruit Kabobs, she gets to help put them together. Looks super yummy! She is too cute! I agree with using fresh mozzarella, there’s just nothing like it! And Riley did such a great job putting them together! How cute! I love those little skewers! Such a great app idea when having friends over!